Can I get Hired at the IRS with an Online Accounting Degree? Do you want to work for the Internal Revenue Service and want to know if you can work at the IRS with an online accounting degree? Online degrees and programs sometimes get a bad reputation. People think that students breeze through their classes and earn a degree faster and easier than if they attended traditional university classes. If you graduated from an accredited college and meet the other requirements of the job, you can work for the IRS with an online degree. The IRS will only extend job offers to those who meet the requirements of the job and have a degree from an accredited college or university. The U.S. Department of Education maintains a database that lists all the accrediting bodies in the country and all of the colleges accredited by those organizations. To receive accreditation, a school must undergo a thorough evaluation that includes a review of the professors, the graduation rate of the school and the curriculum taught in the program. Only those schools that score high marks in all areas receive accreditation. or higher. The IRS uses accountants and those with accounting experience to go over the tax records of individuals, nonprofit organizations and companies. 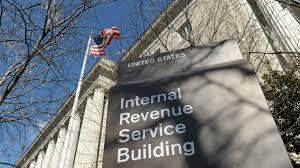 Those working for the IRS also perform audits and double check the paperwork filed by tax payers to ensure that they followed all the rules, regulations and laws in place. You can work at the IRS with an online accounting degree, but you must meet all the education requirements for the job first. According to the IRS, applicants must have a college degree and have completed at least 120 semester hours of courses towards the degree. At least 30 of those semester hours must be in accounting classes. Those interested in GS-5 jobs must also pass the Certified Public Accountant examination in Washington DC. Those applying for GS-7 positions need to show that they earned a specific grade point average in all undergraduate accounting classes and that they spent at least one year in an accounting graduate school or working as an accountant. If you have more work and educational experience, you may qualify for a GS-9 position with the IRS. This job often pays more than lower positions, but comes with additional work as well. Applicants must have a graduate degree in accounting or show that they spent two years in an accredited accounting graduate program and a minimum of one year working in a position similar to those found at the GS-7 level. The IRS will also check your credit history and run a criminal background check before offering you a job. The only difference between earning an online degree at an accredited online university and earning one at a face-to-face college is the time that you spend working on your own. As long as your degree comes from an accredited college or university and you meet the other job requirements, you can work at the IRS with an online accounting degree.